Residential Roofing problems can be a nightmare to handle. Fortunately, Castile is here to assist you in this time of trouble. Castile Roofing is a “FULL SERVICE” roofing contractor, also know as a roofer, providing our customers with services from complete new roofs, re-roofs, repairs, inspections, certifications as well as maintenance programs. Valley-owned and operated and serving Phoenix, Scottsdale, Mesa, Tempe and surrounding areas for over 10 years we understand the harsh conditions and temperatures that life on the desert brings allowing us to provide our customers with the best material, services and warranties available. If want to get the maximum longevity out of your roof, annual roof maintenance is essential. 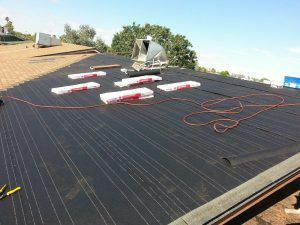 With the adverse weather conditions that we experience in the Phoenix Metro Valley, extreme heat and UV, monsoon storms – small roofing issues commonly arise. It is important to detect and remedy these issues immediately otherwise they will expand to larger, more expensive problems. The scope of our maintenance inspections depends on the type of roof that you have. We start our inspections off by looking for inteior signs of roofing problems like, water stains, mildew, rotting trusses, ect. The next thing we do is clean off all dirt and debris from the roof for two reasons. The fist is so debris will wear down on your roofing materials and the second is we need to be able see your roof to inspect inspect it. Whether it is to your home or business, roof repairs are distrustful to your life. At Castile Roofing, we understand this and execute roofing repairs efficiently, properly and in a timely manner from single family homes, to large commercial structures. We offer quality work and affordable rates because we want to be the roofing company that you trust. Castile Roofing is locally owned and operated so every job we do, feels as if we are helping out a neighbor. It is an unfortunate fact that your roof will not last forever. At Castile Roofing we believe in doing a job right but not doing thing that we don’t need to do. If your roof can be repaired, we will repair it, however some roofs are beyond repair. If this is the case, we will sit down and help you decide what roof will best suite your needs. Castile Roofing has the expertise it takes to get your project done whether you need roofing for a new construction project, a foam roof installation, or a complete tear-off and reroof. Roofing is a complicated procedure and an important investment into the longevity of your property. 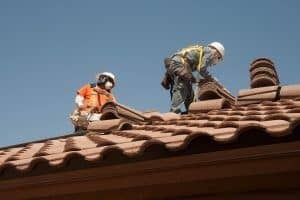 When you choose Circle G Roofing, you can be confident that trained and dedicated crews will complete your roofing installation to the highest standards of quality with a commitment to safety and only utilizing the most up-to-date techniques and products. The reason is simple; It is our commitment to our customers to provide the absolute finest quality of work by providing superior roofing craftsmanship. Castile Roofing is a licensed contractor; a bonded and insured agency which protects our clients, employees and company entity. We also have financing options available to ease costs for those with financial difficulties. Look no further when finding a residential roofing contractor. Castile Roofing is here for you! The Valley is home to an assortment of houses, mansions, villas, and stables (yes, stables). Castile Roofing has the experience to handle all manner of repair and restoration of Rooftops. We understand the natures of how roofs fall apart, quickly assess a course of action and create a cost friendly solution. You shouldn’t need to break the bank just to keep your roof above your head. Finally, Castile understands the time taken when repairs like this take place. We work diligently to restore your roof in as little time as necessary without resorting to shortcuts. To conclude, your home is the largest investment you will ever make. It is in fact your castle. Therefore, place the restoration and maintenace of your castle’s roof with Castile. At Castile Roofing we have the experience to handle any project that comes our way. From repairs, to re-roofing, free estimates and reviews to providing a scheduled roof maintenance service, Castile Roofing does it all. Furthermore, these services help our valued customers protect their castle from crashing down. Call today to schedule a consultation.